The brown bear's principal range includes parts of Russia, Central Asia, China, Canada, the United States (mostly Alaska), Scandinavia, and the Carpathian region (especially Romania), Anatolia, and Caucasus. The brown bear is recognized as a national and state animal in several European countries. 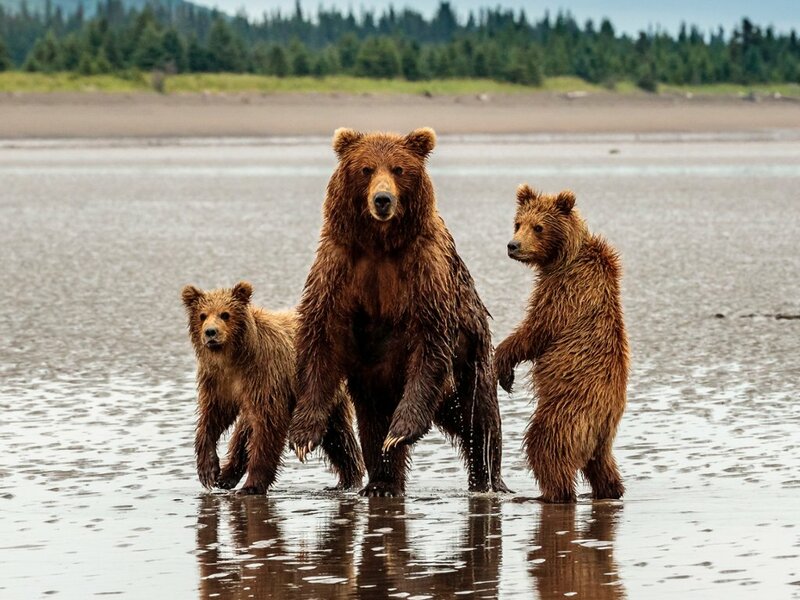 While the brown bear's range has shrunk and it has faced local extinctions, it remains listed as a least concern species by the International Union for Conservation of Nature (IUCN) with a total population of approximately 200,000. As of 2012, this and the American black bear are the only bear species not classified as threatened by the IUCN. However, the Californian, North African and Mexican subspecies were hunted to extinction in the nineteenth and early twentieth centuries and many of the southern Asian subspecies are highly endangered. One of the smaller-bodied subspecies, the Himalayan brown bear, is critically endangered, occupying only 2% of its former range and threatened by uncontrolled poaching for its parts. The Marsican brown bear, one of several currently isolated populations of the main Eurasian brown bear population, in central Italy is believed to have a population of just 30 to 40 bears.